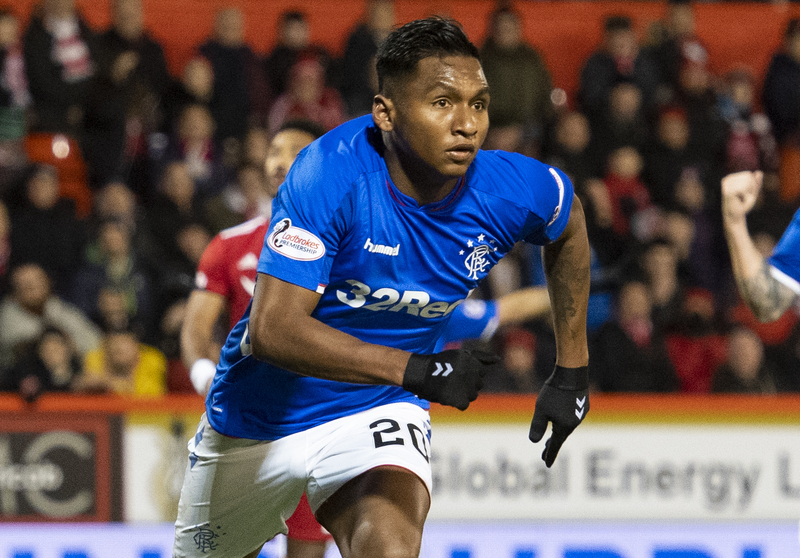 THE time has come for Alfredo Morelos to get the help he needs to become a major star. What happened with him at Pittodrie on Wednesday was so frustrating because he was having such a good game and was on a hat-trick. We know all about his previous disciplinary problems, but I felt the emphasis was going to be on the quality of his play. His first goal was well-taken. The second was world-class. Then we had the incident with Scott McKenna. My view is that it was a strong, aggressive challenge from McKenna, who played the ball. Morelos was knocked towards the player and he used the opportunity to put his foot towards him. However, before he could make any real impact on his opponent, he was kicked in the face. I felt it should have been a yellow card for Morelos and a red card for McKenna. I can understand why Rangers appealed the sending-off because I don’t feel their player made much contact. I think the SFA’s fast track panel possibly upheld the red card because some of the TV pictures made it look like he made contact with McKenna, and they regarded that as being additional evidence. I don’t think he made much contact at all before he got a kick in the face, but it could be the panel believe there was intent. It’s my opinion, however, that the SFA have seen a great opportunity to end the criticism from those who claimed they were pro-Rangers in their decision-making. They took a lot of flak after rescinding Morelos’ first red card of the season, and then not taking action against him for challenges made in the recent Old Firm game. There was also an outcry about Rangers being awarded four penalties against St Mirren last weekend. They may have seen this as the chance to balance things up. There is, though, a bigger issue surrounding the behaviour of Morelos. Whether or not you agree with me about this latest incident, there’s no denying he has a big problem with on-field discipline. During his time in Finland, he collected eight yellow cards and no reds. Since joining Rangers, it’s 18 yellows and three reds. It’s four orderings-off if you count the one at Pittodrie that was rescinded. 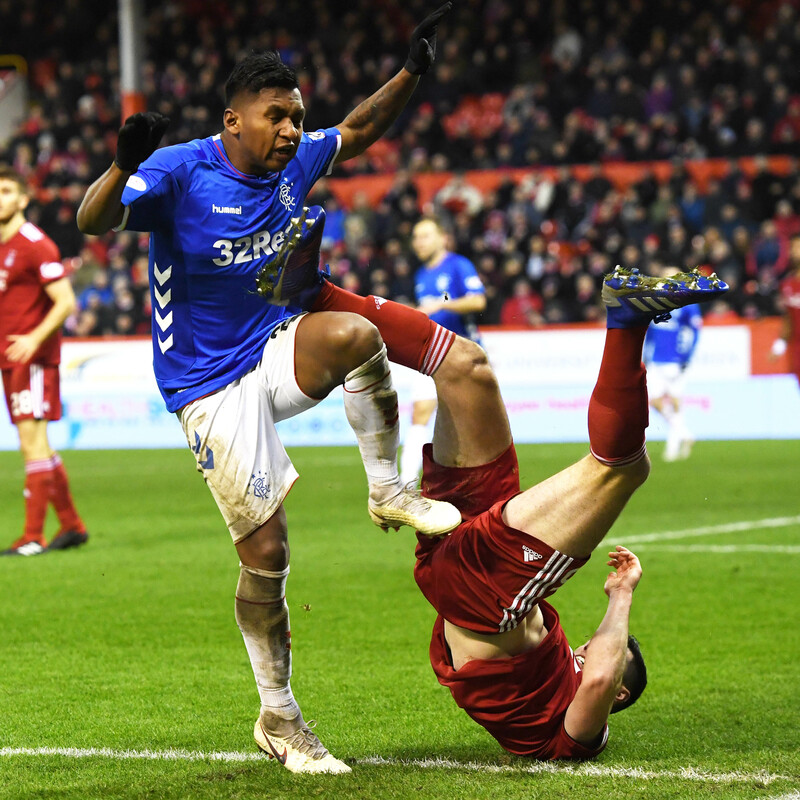 You have to ask what is it about Scottish football that makes Morelos act this way? Is it because it’s a more-aggressive style of football? Is he getting wound up by opposition players? Or has he changed his game because of the pressure? Some people may say he’s been treated harshly, but I don’t think that’s true when you look at the incidents he’s been involved in. Steven Gerrard has clearly looked very closely at his behaviour and has spoken about the need for his man to clean up his act. But a manager is sometimes reluctant to demand major changes in behaviour for fear of removing an essential ingredient that makes the player so effective. That’s why I believe it’s time Morelos got help from a sports psychologist. This is something many of the world’s top clubs do. None of us really know much about the player’s character. He has never given a public interview, and there’s no evidence to suggest he has blotted his copybook in training or away from the club. It would seem his problem is purely an on-field one, and that’s why expert help is required. The right thing to do would be to get a psychologist to speak to Morelos and understand his thought processes. Perhaps he has a mind-set where he thinks others are to blame, and it is a case of persuading him to take more responsibility for his actions? We won’t know what is driving his behaviour until a qualified person gets a feel for the way Morelos looks at events unfolding on the pitch. At the moment, his character has been demeaned because of his problems with discipline. The Rangers fans love him because of the goals he scores, but his reputation in the wider football community is poor. That’s why he needs some help. I think he would be a more effective force for his club if he just concentrated on playing. If he can channel his aggression in the right way, then I’m sure his value would shoot up. Major clubs will be impressed with his play and goals tally, but will be put off by the growing catalogue of disciplinary problems. Rangers supporters won’t like to hear talk of him leaving in the future, but changes to the way he behaves can help them right now. Morelos has been suspended for too many key games, and he can’t go on like this. I don’t see it being an insurmountable problem with the right help. A small change could help Morelos step up to the next level. That can only be good for the player and his club. The focus will now be on Allan McGregor, with the goalkeeper facing a possible two-match ban for his challenge on Lewis Ferguson. At first, I thought he might have a case to answer. But, having studied the incident, I think he has gone in with his leg up to protect himself. I can see to a degree why they might consider it deliberate, but goalkeepers regularly jump out with their knee in the air. I was on the end of a few of those during my career and I think this was a similar scenario. Again, it could be a balancing act. There was no action taken against McGregor for an incident with Celtic’s Kristoffer Ajer earlier in the season and a lot of people thought they got that one wrong. This latest incident gives the SFA the chance to ban him at a hearing on Tuesday.